KBSS Engineering can access the HTL Ultra Low Torque Wrench, part of HTL’s innovative 3-in-1 modular Hydraulic Torque Wrench range. It is made up of a combination of the HTL-W power head and the HTL-R ultra low link attachment. 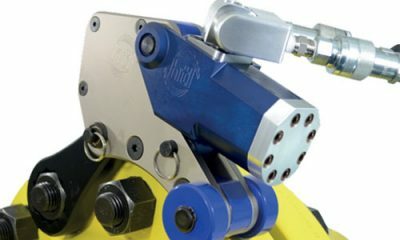 This link is designed specifically to fit even the most confined applications, where standard tools would be unsuitable. With both ring end and open ended hex sizes available from 3/4” to 4 5/8” or 19mm to 120mm A/F the tool is capable of producing a maximum torque of 18,165Nm.